CHICAGO (AP) — Over strong objections from prosecutors, a federal judge on Monday took the rare step of letting a 25-year-old man charged with plotting to bomb a Chicago bar avert trial and move on to sentencing without ever saying he did anything wrong. Adel Daoud entered an Alford plea at the end of a three-hour hearing in U.S. District Court, telling Judge Sharon Johnson Coleman he maintained his innocence but that he simultaneously acknowledged prosecutors had enough evidence to convict him had he gone to trial. Agents arrested Daoud in an FBI sting in 2012, after he pressed the button on a remote he was told would ignite what he thought was a 1,000-pound bomb in a car, just blocks from the federal courthouse. Daoud said he wanted to kill at least 100 people, government court filings allege. Daoud’s case has dragged out for six years, delayed in part by his statements that the judge was “a reptilian overlord” and that his own lawyers were in cahoots with the Illuminati. After he received treatment for schizophrenia, Coleman earlier this year declared him fit to stand trial. Daoud, of the Chicago suburb of Hillside, Illinois, faces a maximum penalty of life in prison when he learns his punishment next year. His sentencing will be April 29. Though Daoud didn’t enter standard guilty pleas, Coleman explained to him that a judgment of guilty will be entered in the record for nine counts — two related to the bomb plot case and seven regarding charges brought while he was in prison. In objecting to the Alford plea, prosecutor Barry Jonas alluded to statements from Daoud’s lawyers that they intended to put “the FBI on trial” for entrapping Daoud. Jonas said that taking the case to a jury would allow the government to show that’s not what happened. Daoud also entered Alford pleas Monday on the seven other counts. Those included charges that, while behind bars, he solicited the killing of a FBI agent who participated in the sting and that he attacked a fellow inmate with a shank fashioned from a toothbrush after the inmate drew a picture of the Prophet Muhammad. In accepting the Alford pleas, Coleman cited both Daoud’s mental health and concerns the defense had raised about what she said was “the overall environment when (the word) ‘terrorism’ is mentioned.” She didn’t elaborate. 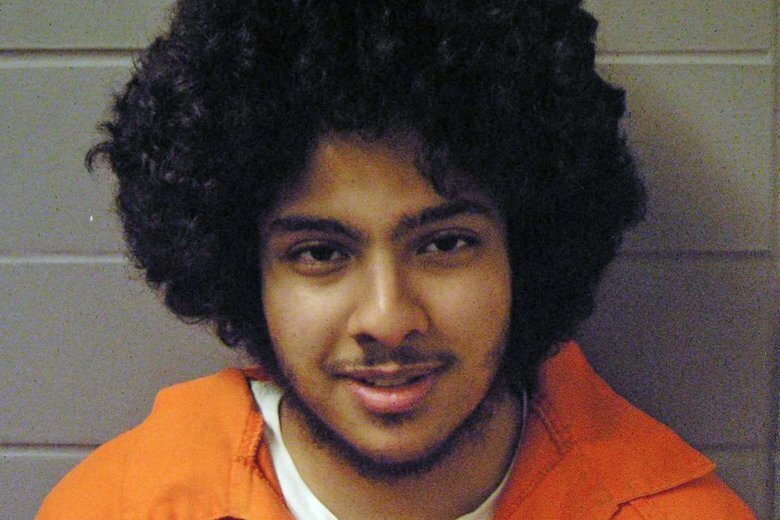 Daoud’s lawyers and other critics have argued for years that federal stings tend to snare psychologically vulnerable youth, not committed would-be terrorists. But in the lead up to Monday’s hearing, prosecutors sought to dispel the idea that agents roped Daoud into a bomb plot he never would have contemplated on his own. In a 19-page description of the evidence against Daoud recently filed with the court, prosecutors alleged Daoud expressed an interest in acts of violence for months before undercover FBI agents ever engaged him online.